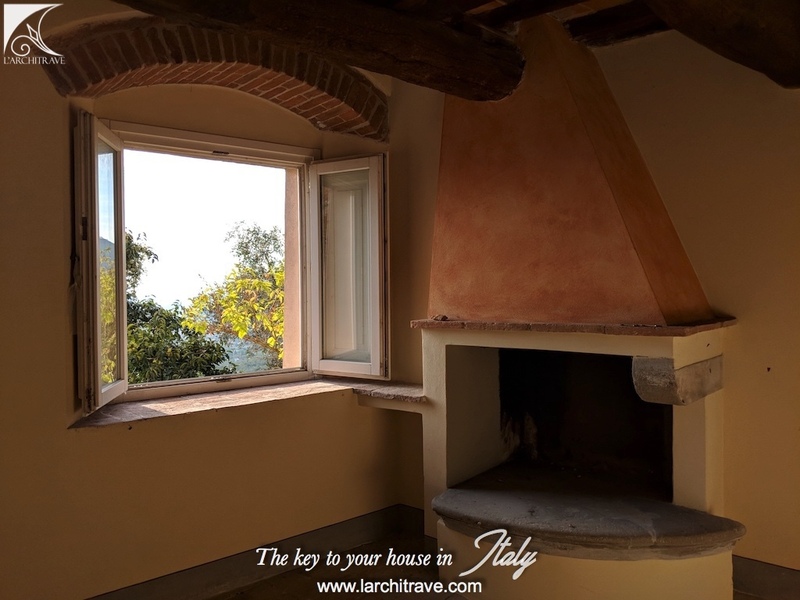 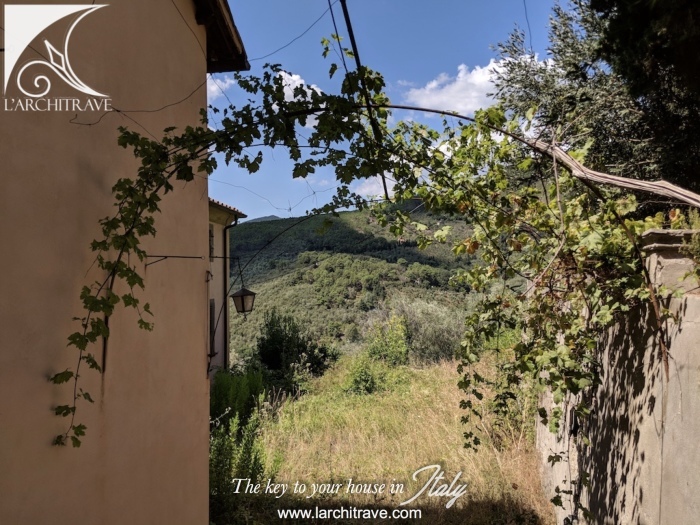 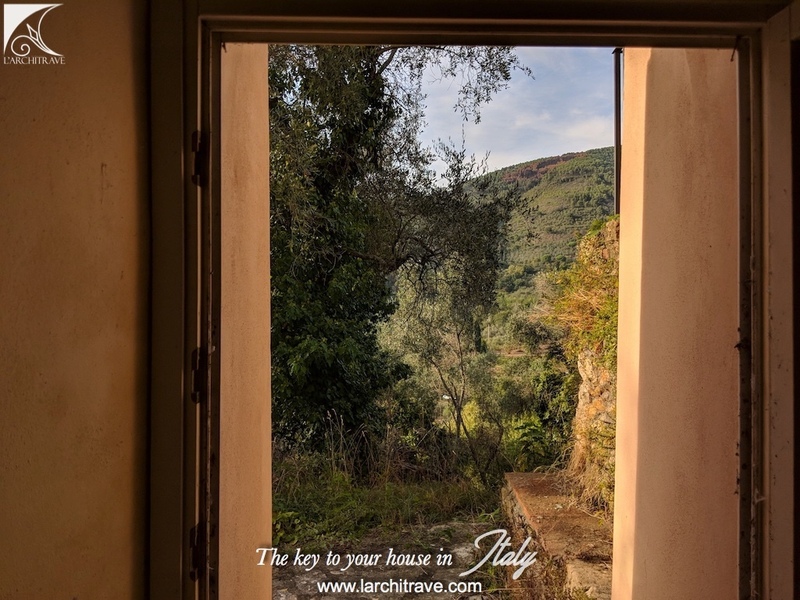 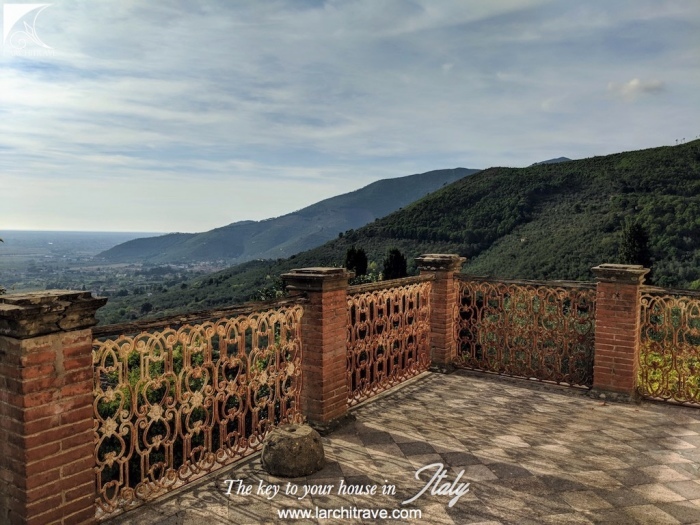 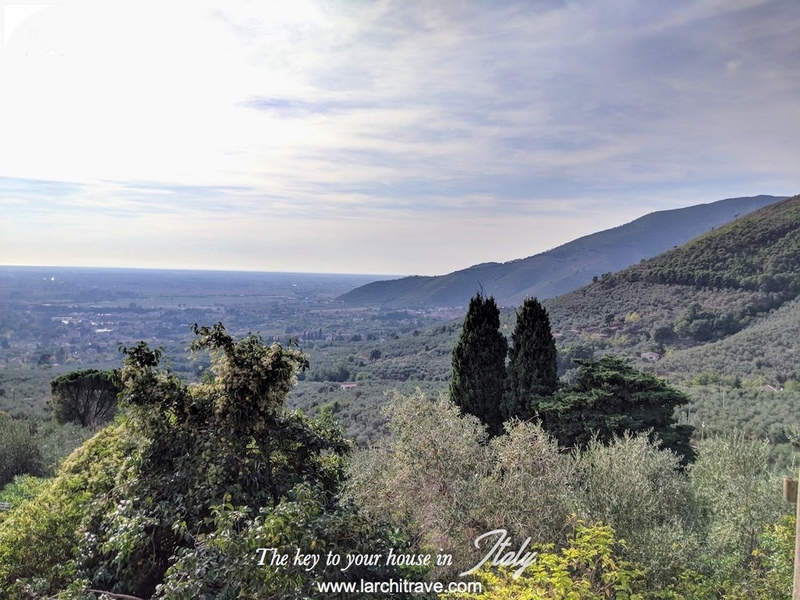 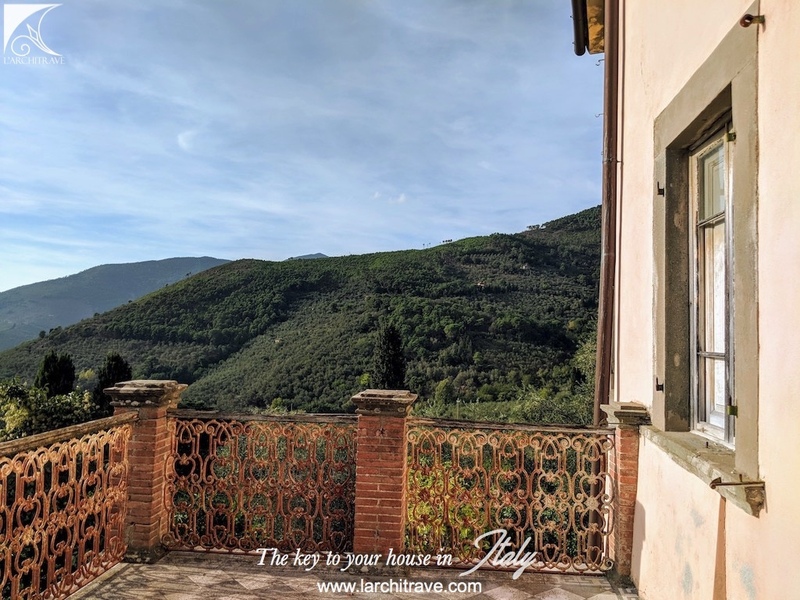 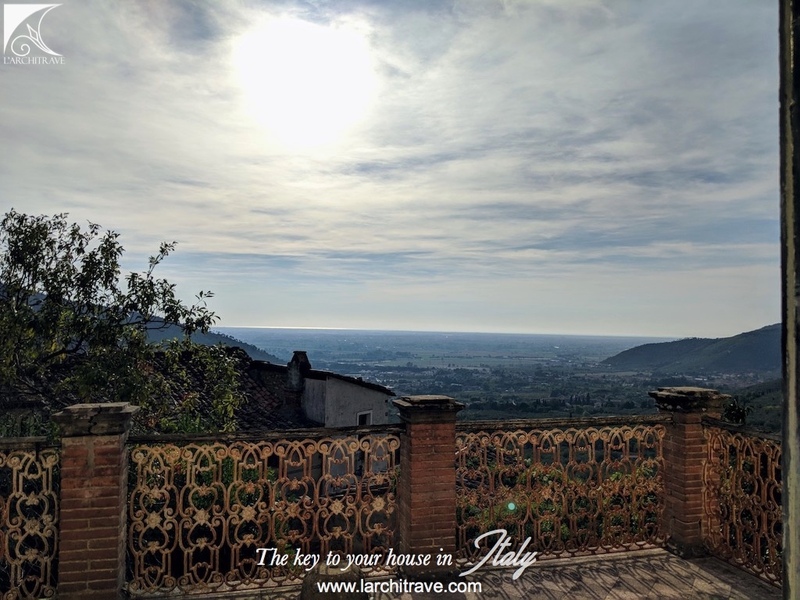 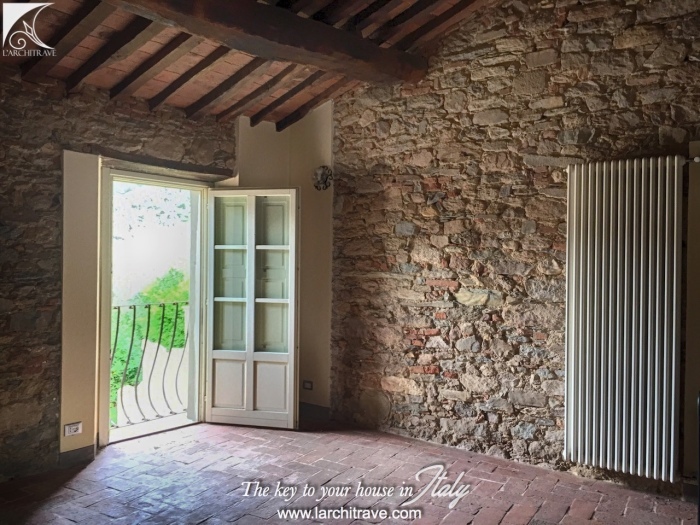 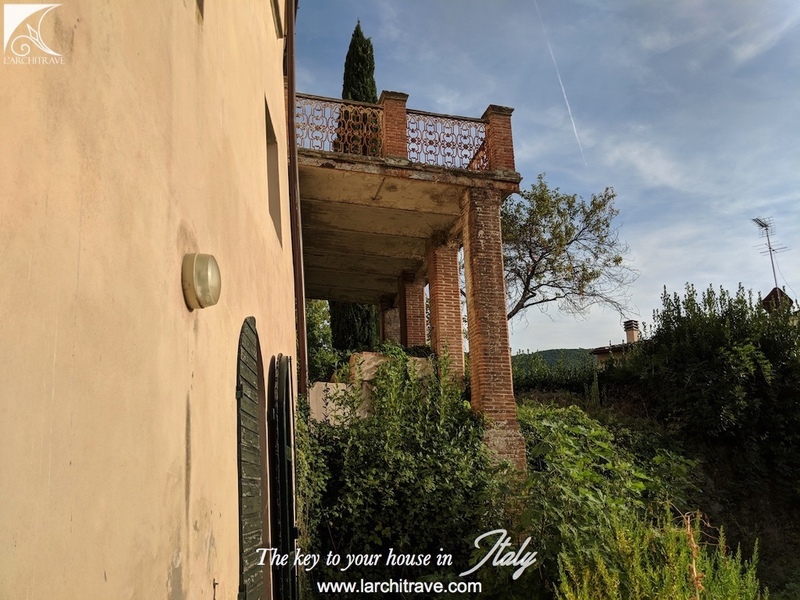 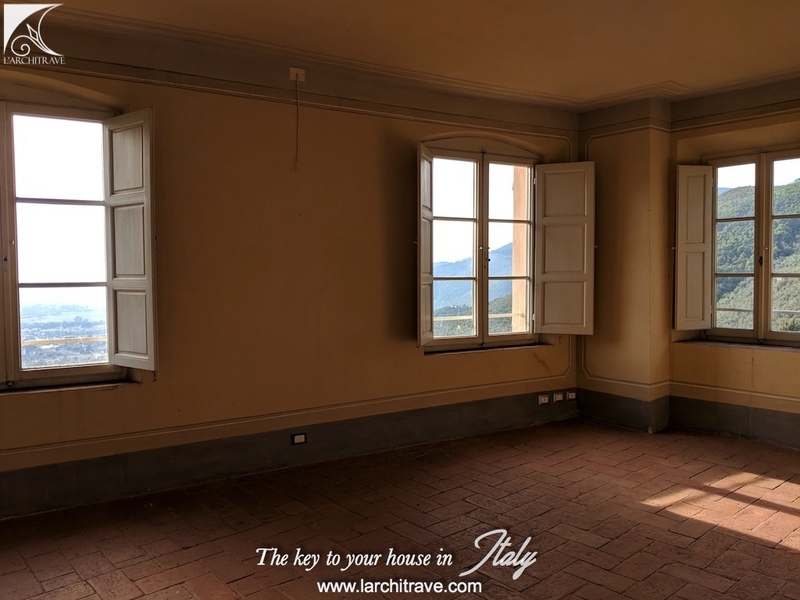 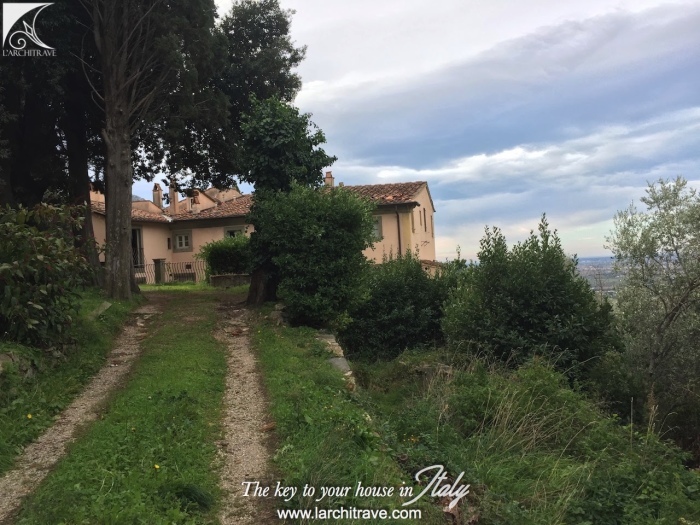 Villa steeped in history on the edge of a character village with stunning views to Pisa and leaning tower in the distance and the coastline. 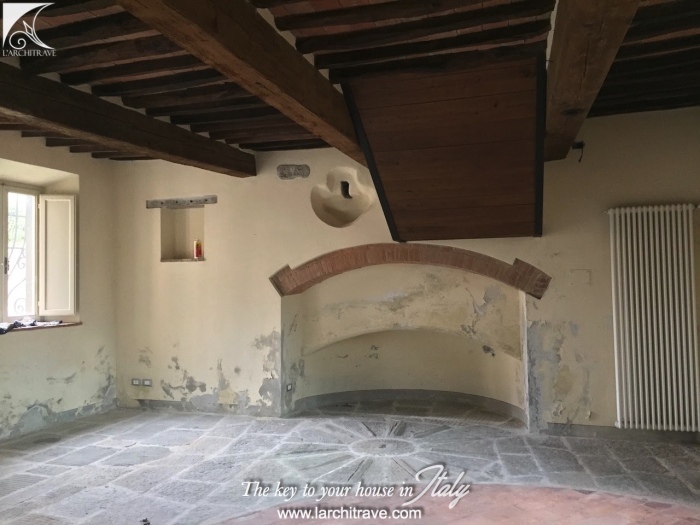 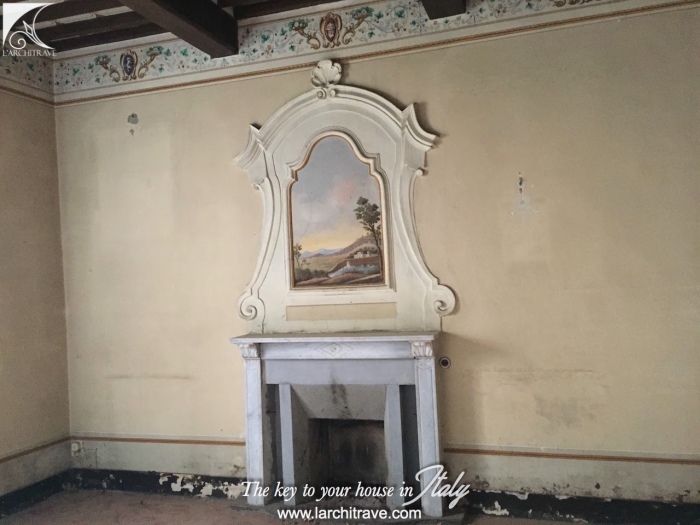 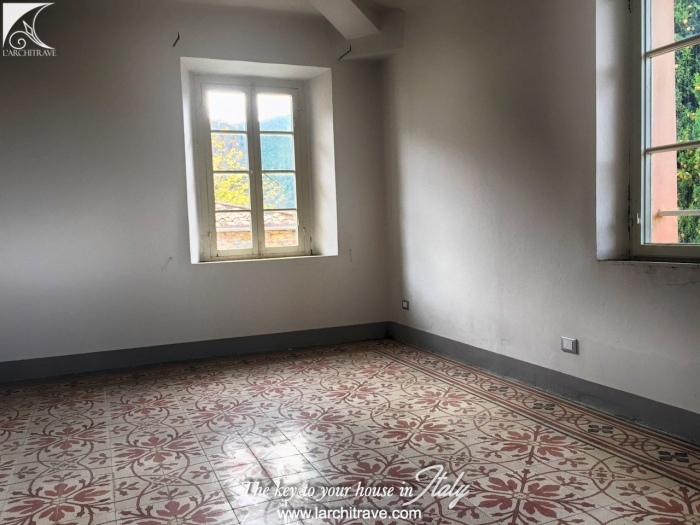 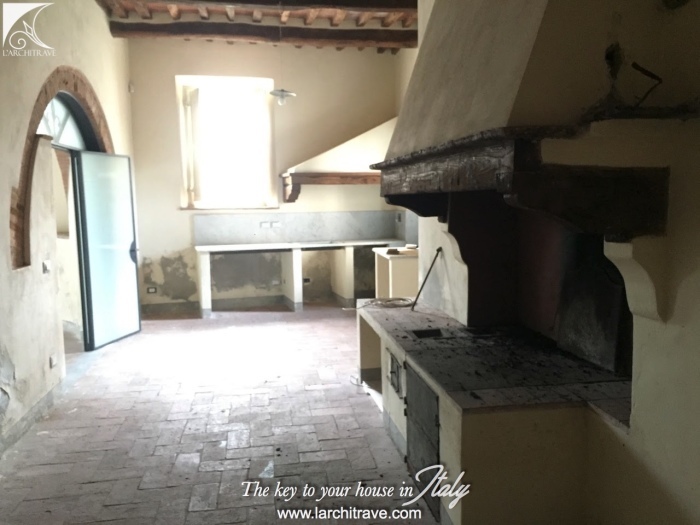 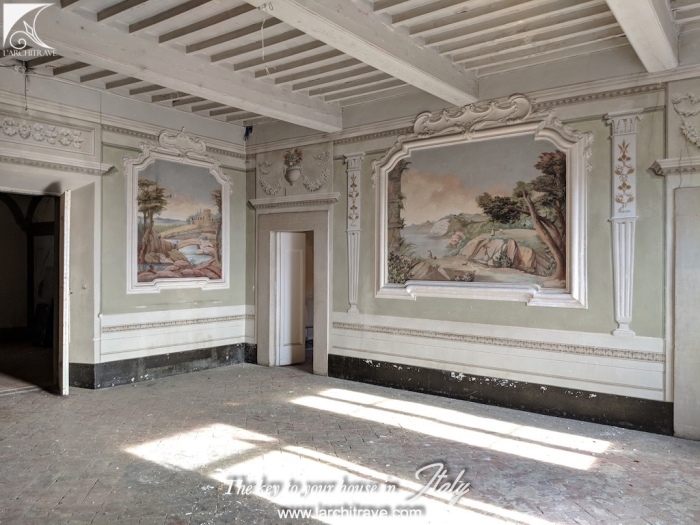 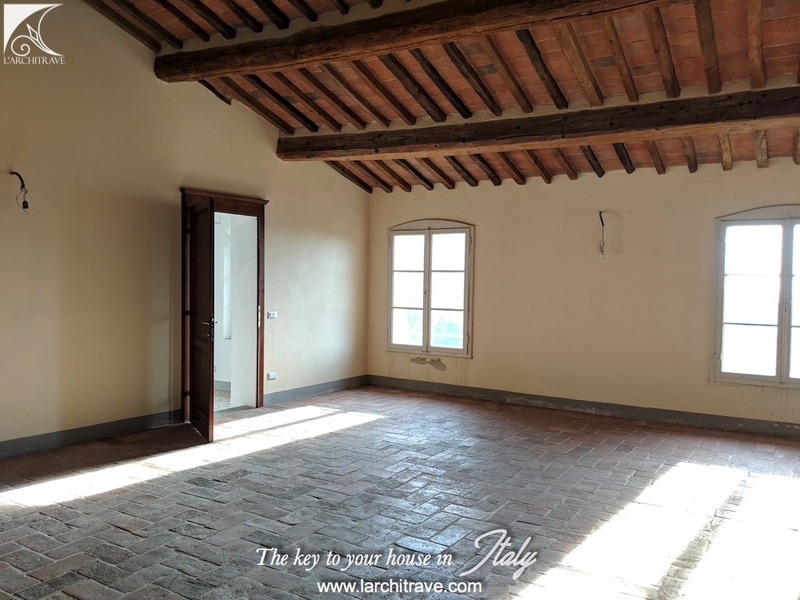 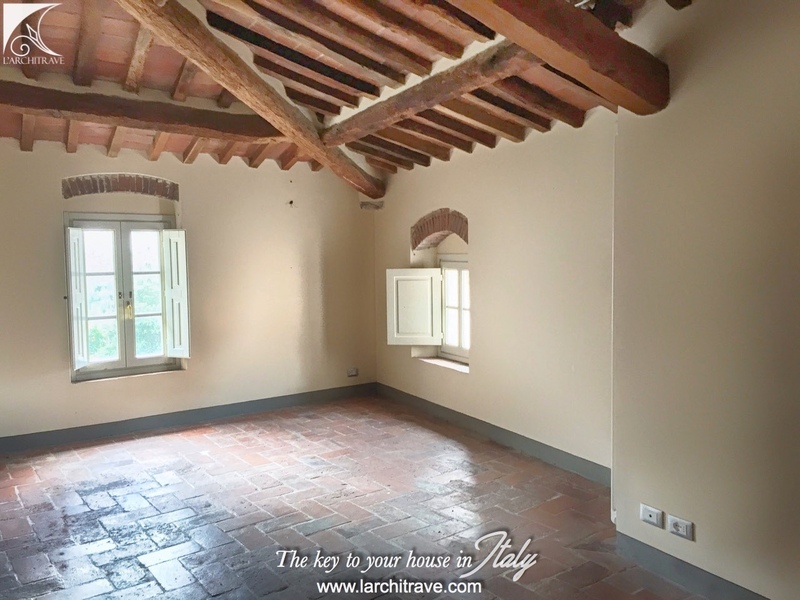 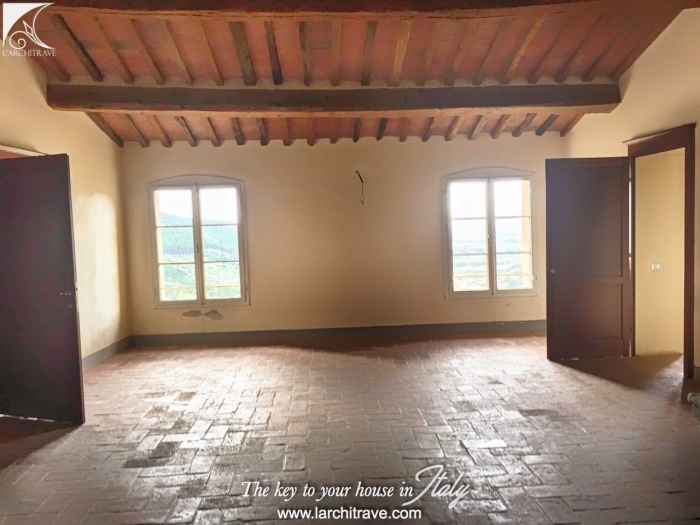 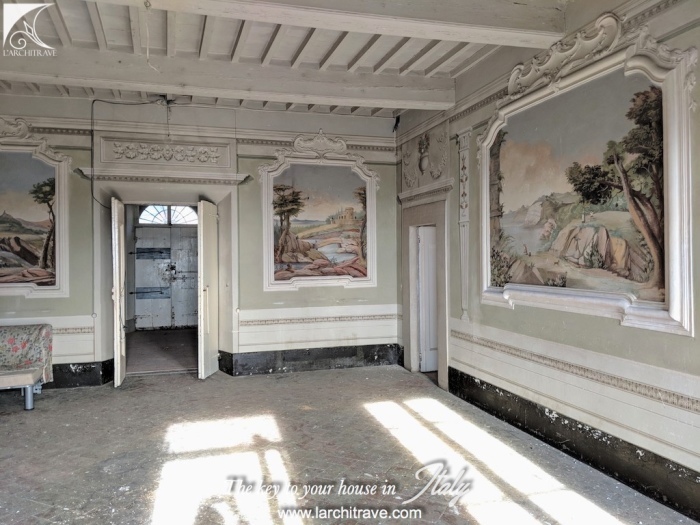 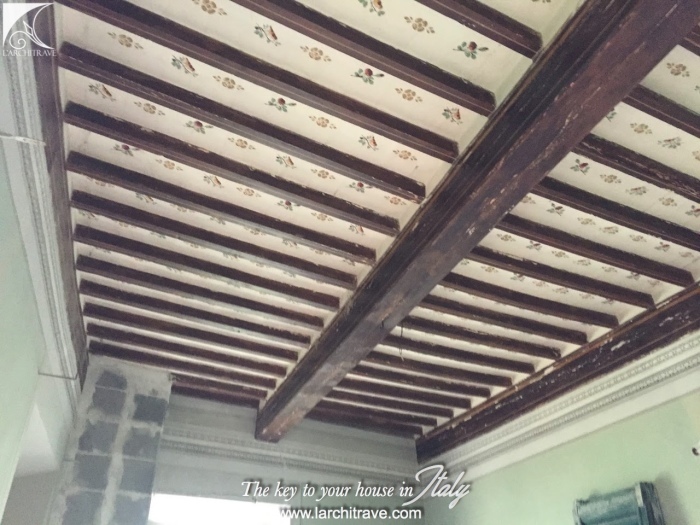 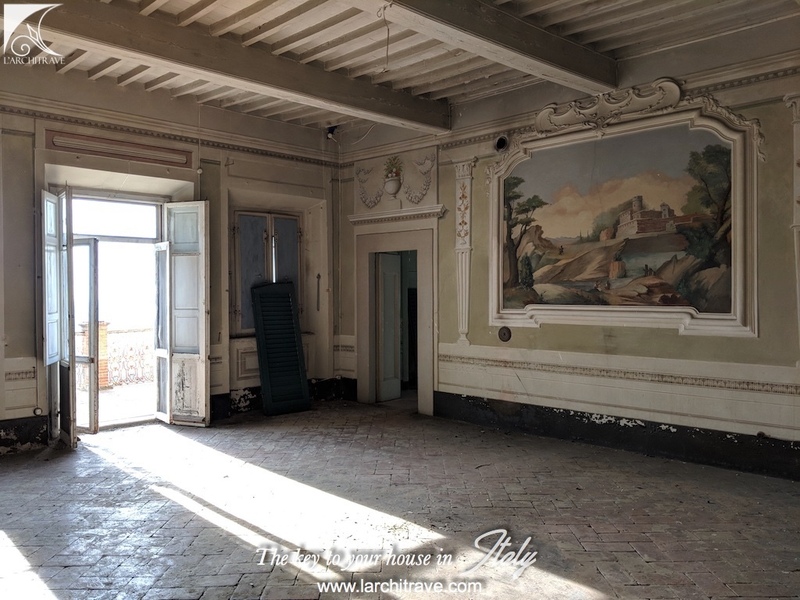 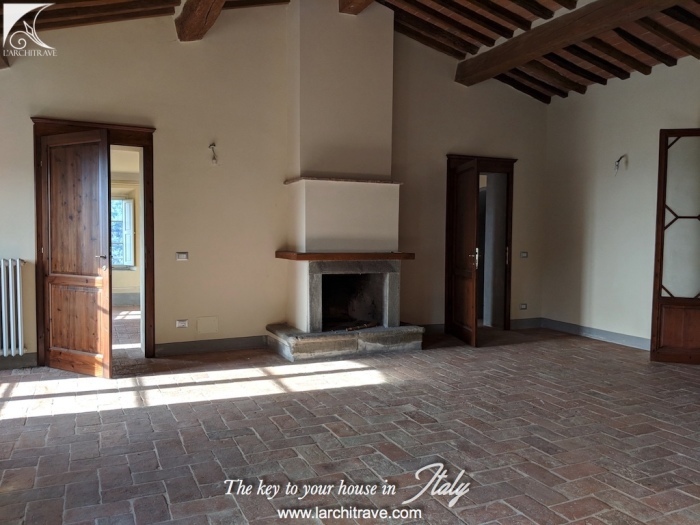 The villa has many original features with frescoed ceilings, exposed stone, original floors and beams. 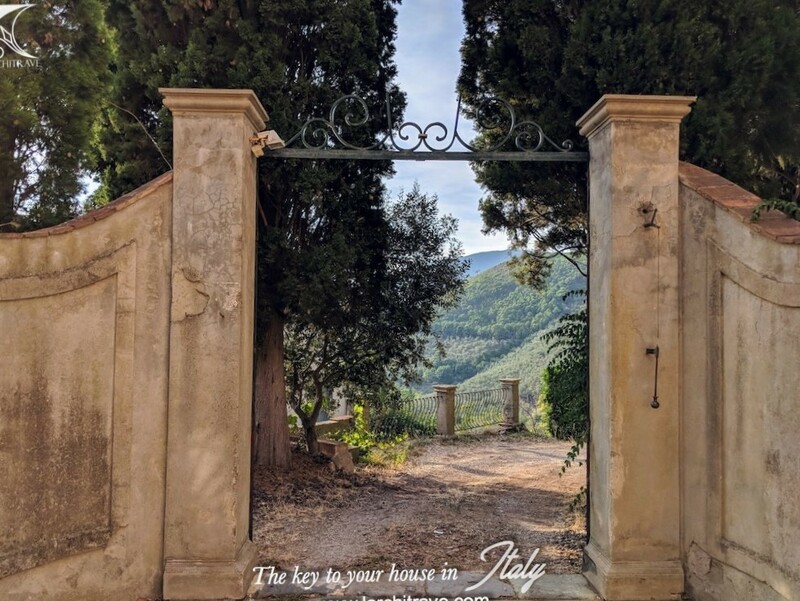 Gated entrance to the grounds with ample private parking. 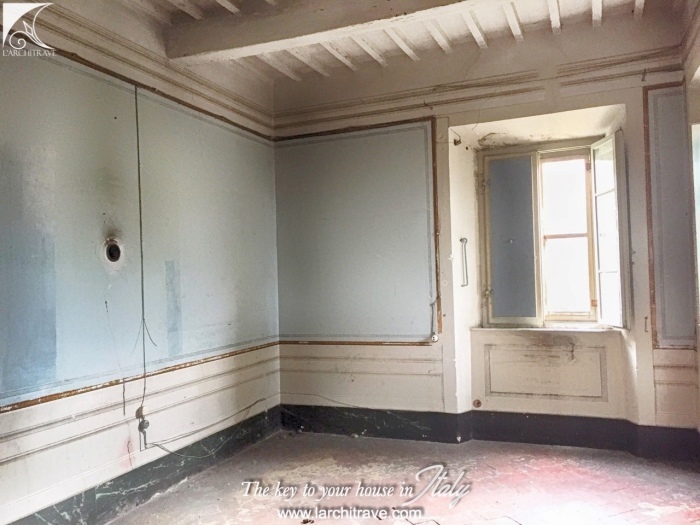 The property has been in part restored. 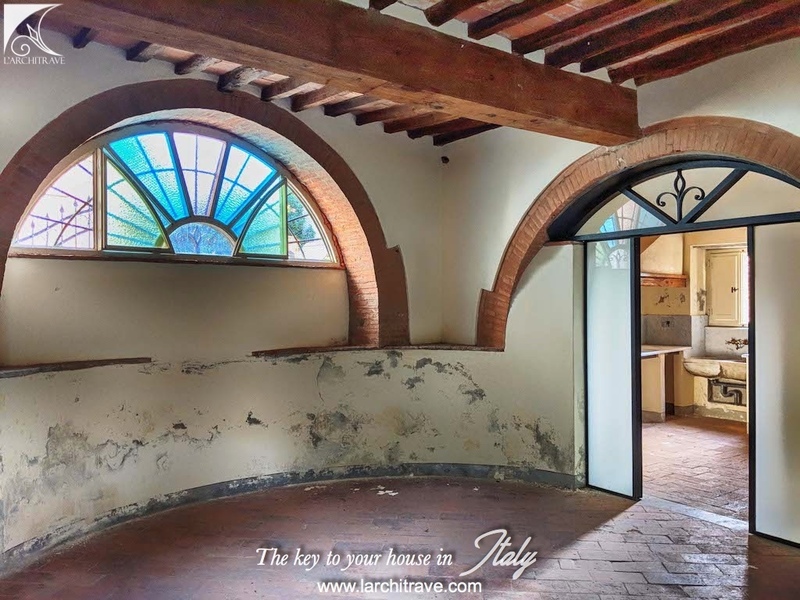 Entrance to large hall with stone floor and archway to a kitchen with fireplace, main central room with frescoe walls and doors opening to a terrace with magnificent views, there are 4 doors off the main room all with stone surrounds into 4 bedrooms, a hall leads to a dining room; this level requires restoration work. 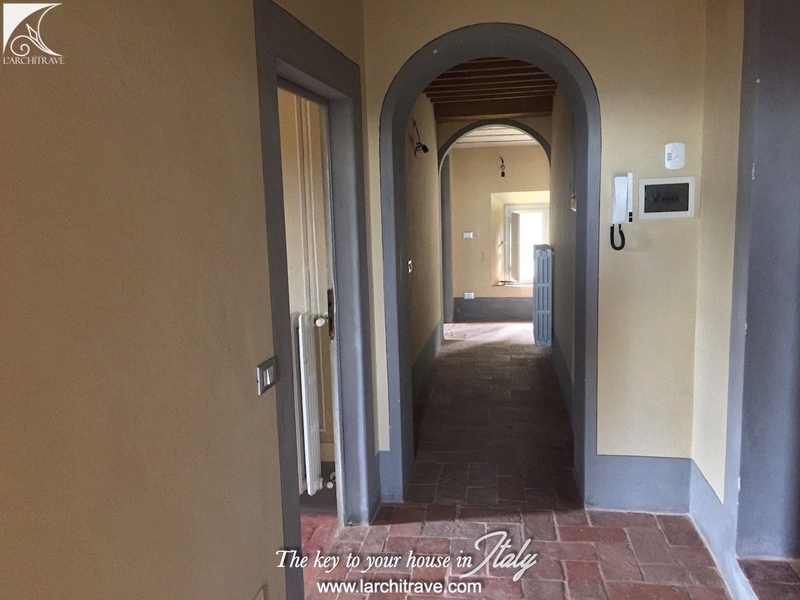 upstairs there are polished terracotta floors and beamed ceiling, living room, kitchen 3 bedrooms and bathroom that have been restored. 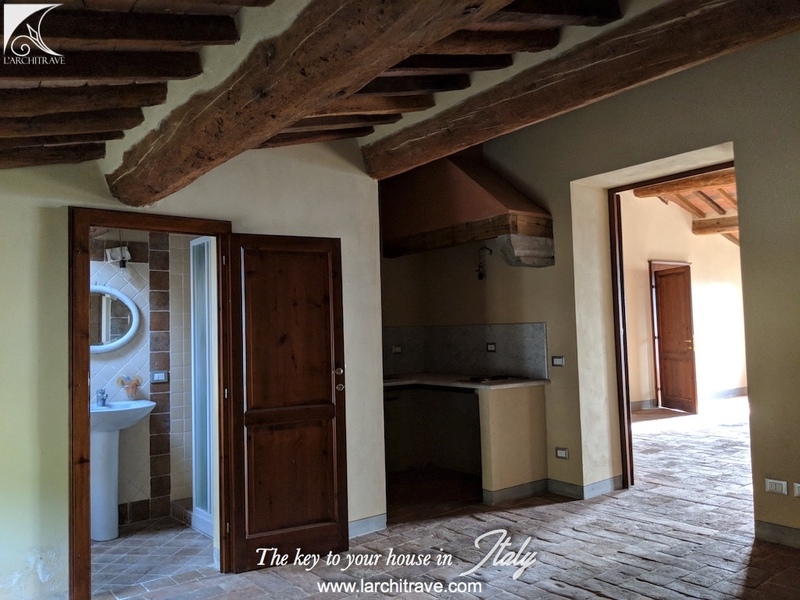 The lower ground floor has also been restored to offer two self-contained independent apartments each with kitchen, living room, bedroom and bathroom. 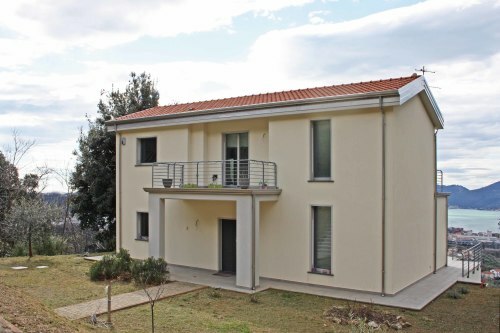 The property has central heating. 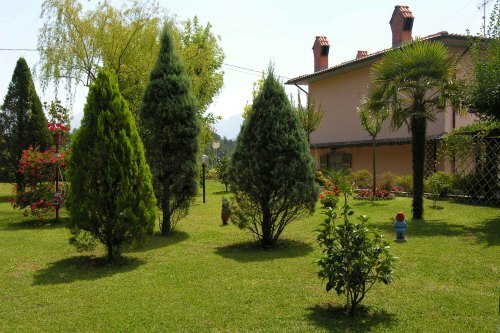 A garden surround the property and there is a small outbuilding on the land. 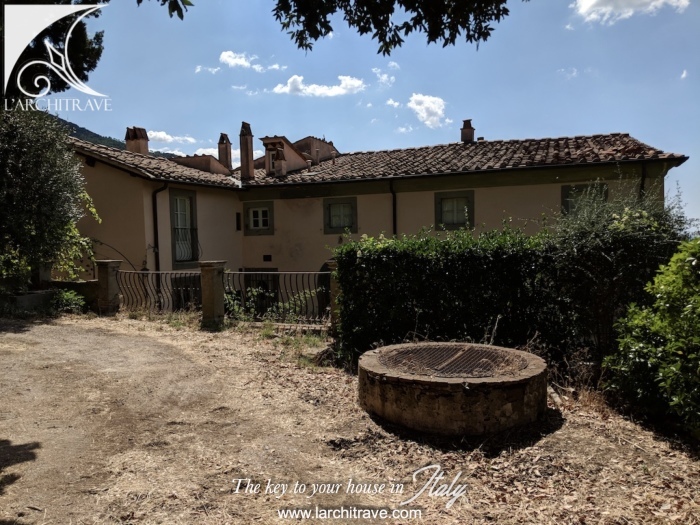 The garden, once a formal layout has magnolia and cypress trees with terraces divided with columns and steps. 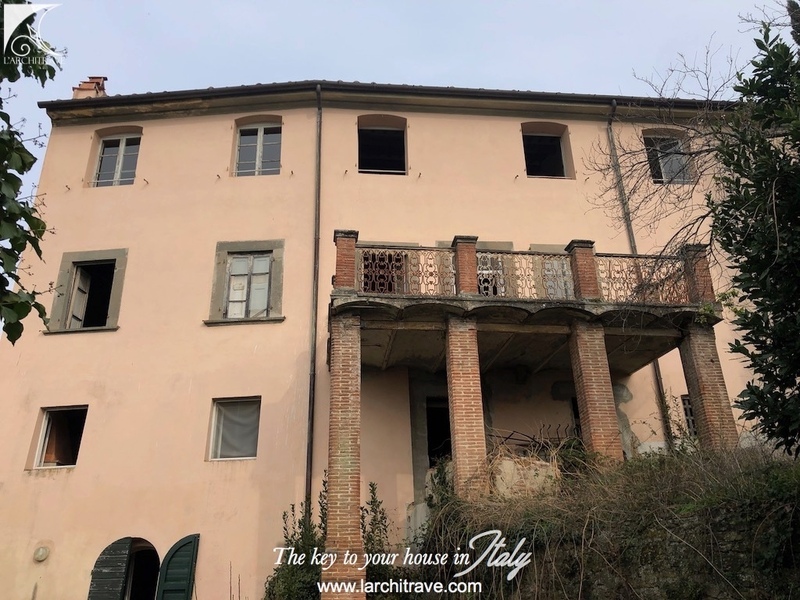 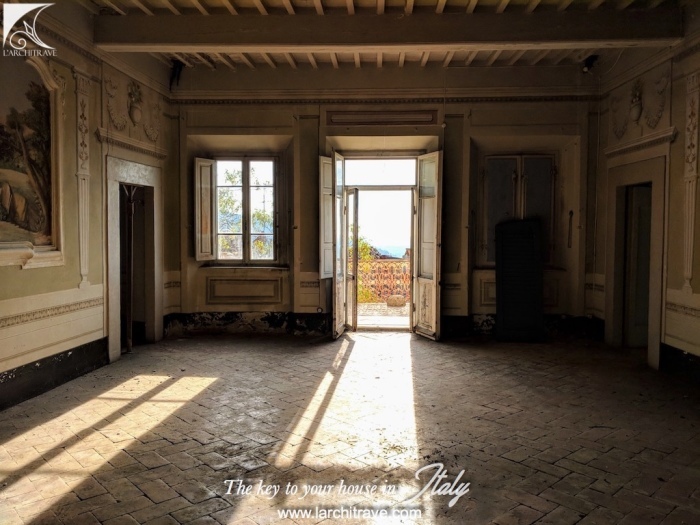 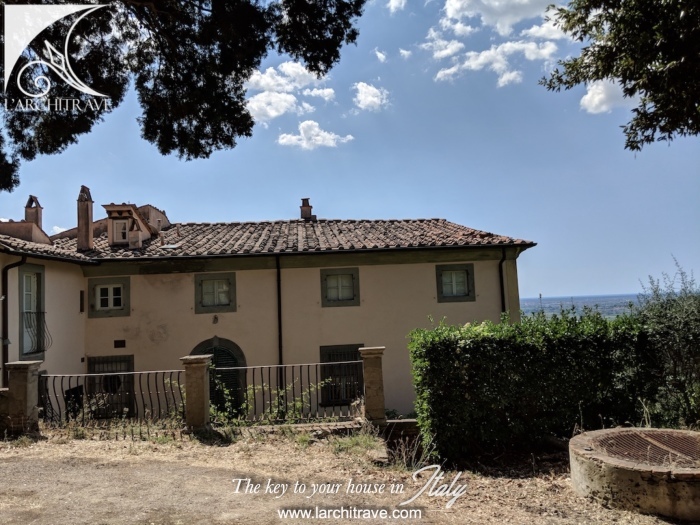 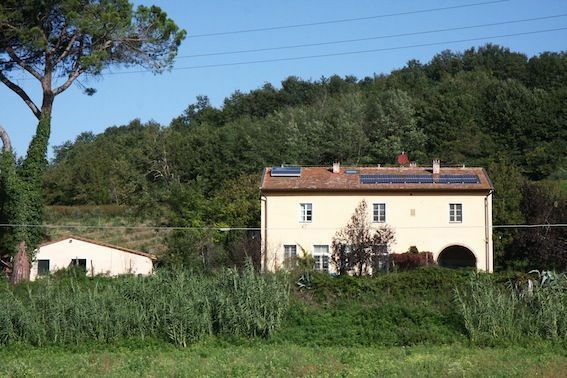 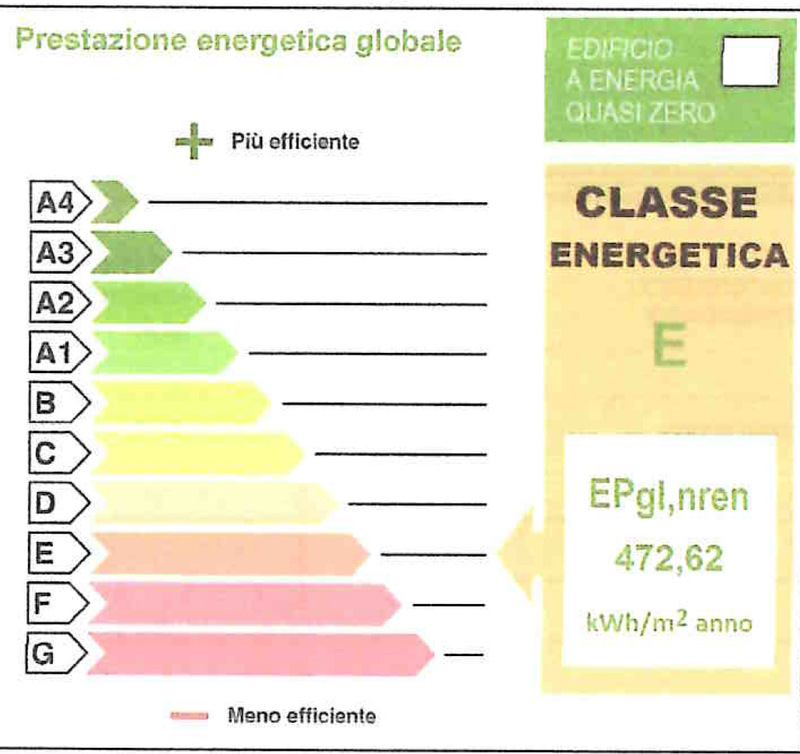 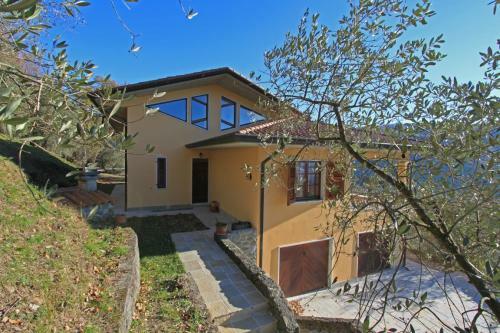 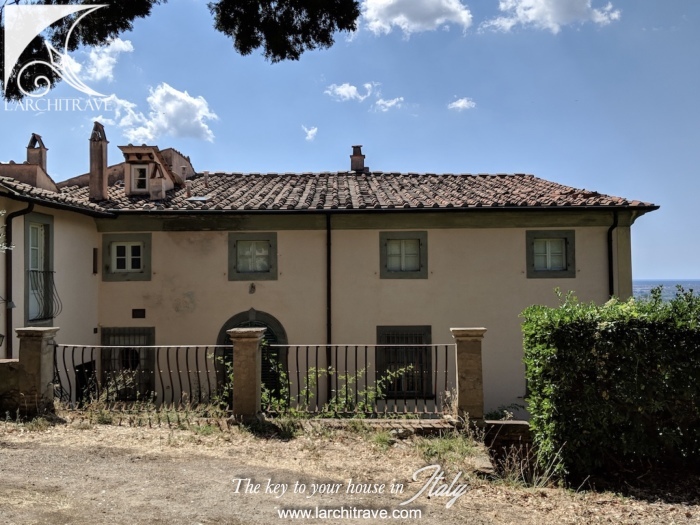 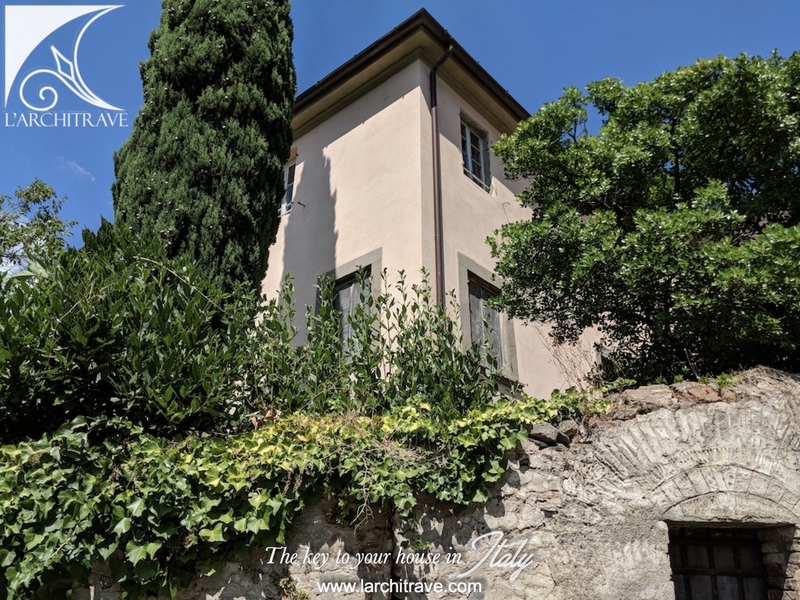 This is a unique opportunity to buy a villa steeped in character in a stunning location on the hills above Pisa. 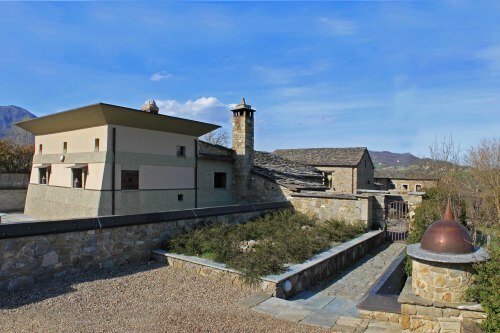 There is a shop in the village. 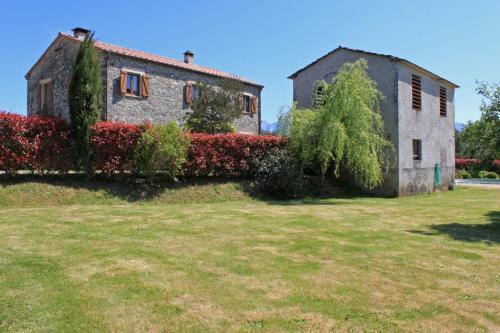 Excellent location with hill walks and pathways from the village. 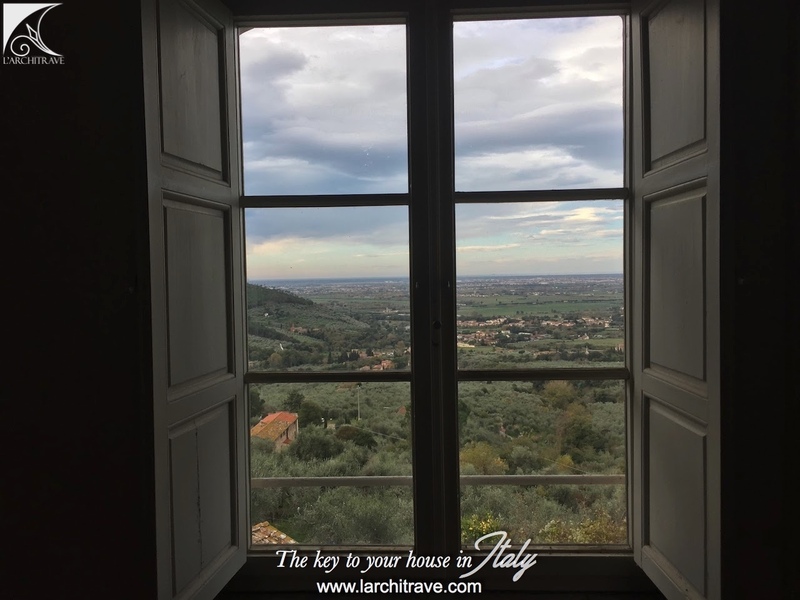 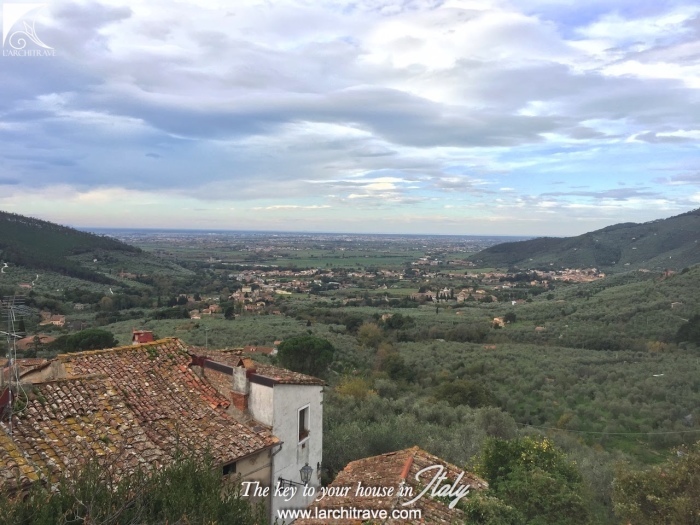 The cultural centres of Tuscany are all within easy reach with Lucca just 20 minutes (20 km), Pisa airport 10 km, beaches 15 km, Florence 70 km. 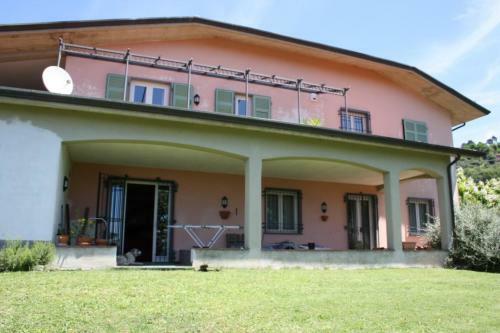 There is the famous ancient thermal spa at San Giuliano Terme 8 km away. 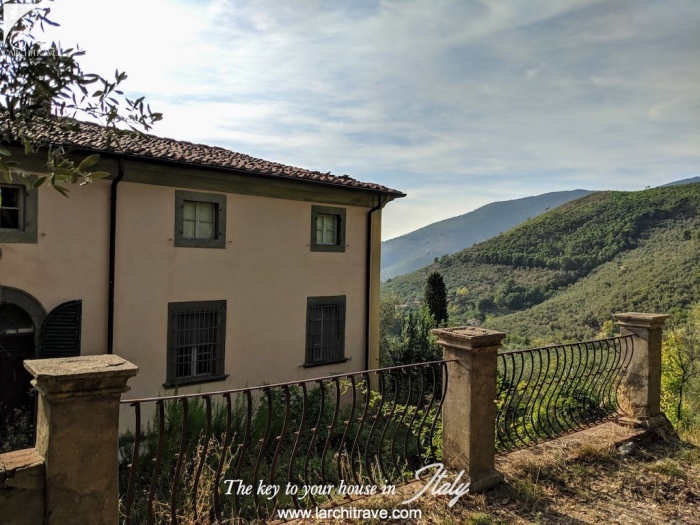 This lovely village has cobbled lanes and interlinking arches with olive clad hillsides and woodland for some beautiful walks through the countryside. 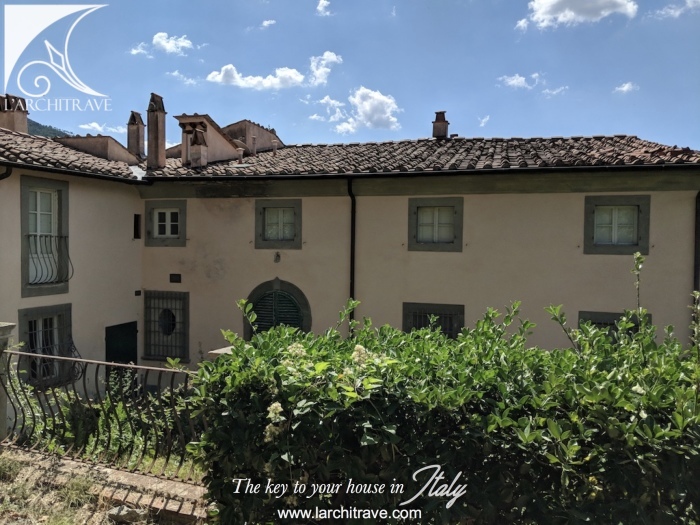 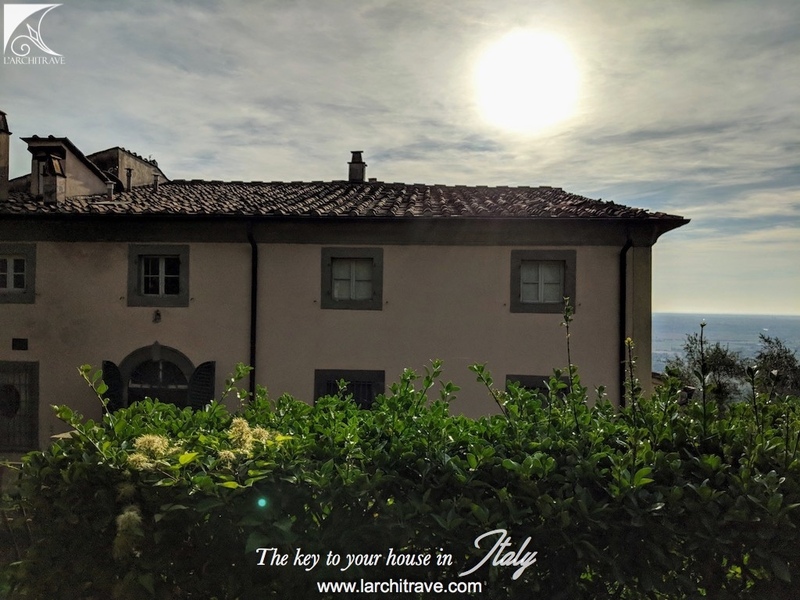 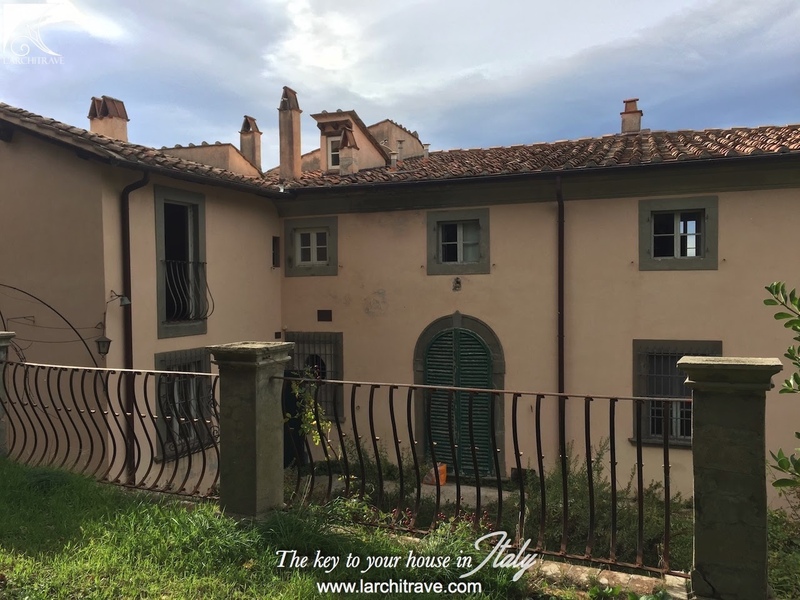 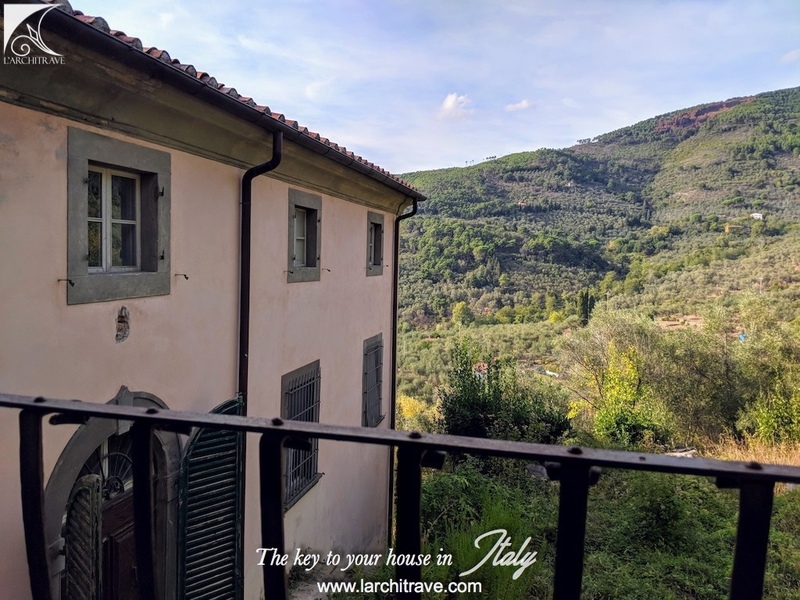 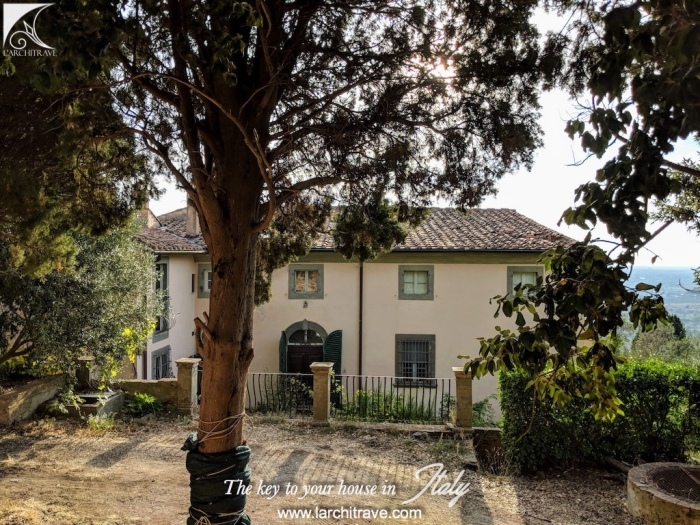 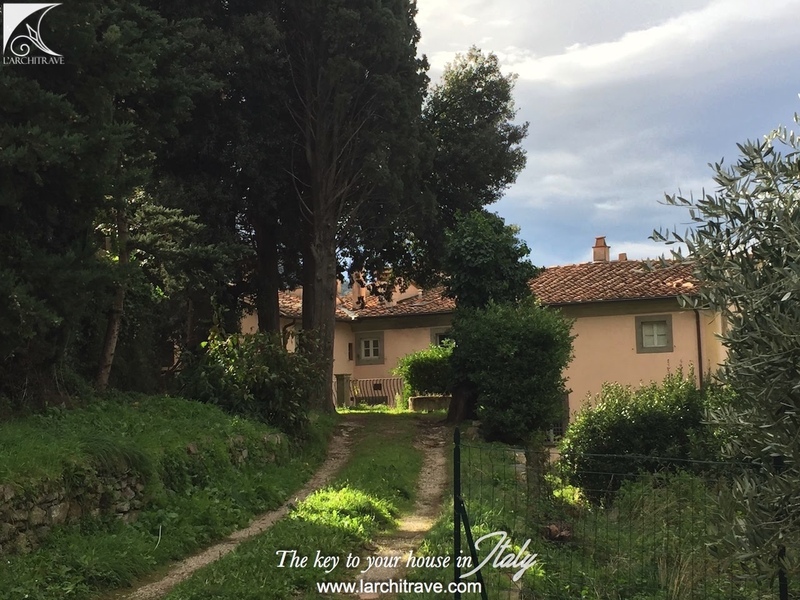 The elegant town of Lucca with its beautiful piazzas and shaded walls where you can rent bicycles or attend the famous Lucca summer music festival.